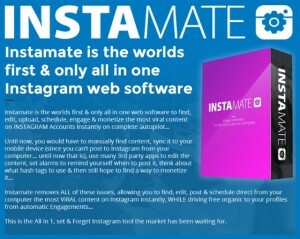 Just get Instamate. I’d add the ‘add logo/text feature but skip the other upsells which you won’t need. It only costs a few bucks. You can try it for 14 days risk-free. Click Here to start building your personal/company brand and fan base! Link it with buffer, Zapier, or IFTTT to 10x your social media game. Schedule all of your posts to go out automatically (just leave your browser open) grow your fan page while the world sleeps. This isn’t one of those products you buy and never use. Once you start using it you will see how powerful it is especially combined with other powerful automation software.